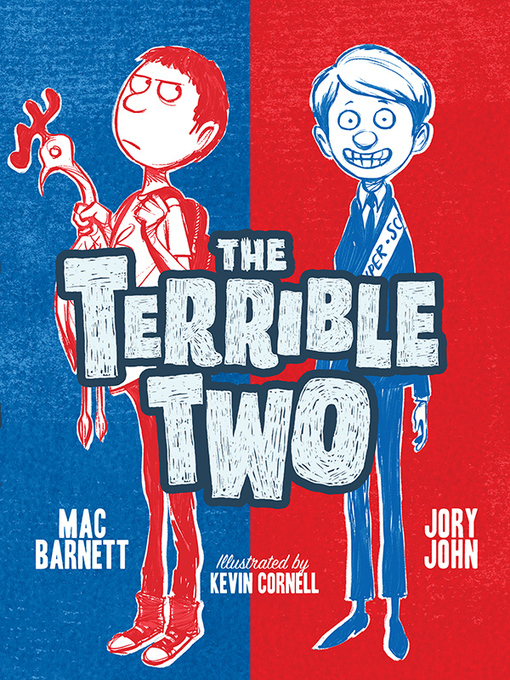 The terrible two [electronic resource] : Terrible Two Series, Book 1. Mac Barnett. $b Source of stock no/acquisition OverDrive, Inc.
100 ME:PersonalName 1 $a Personal name Barnett, Mac. $b Remainder of title Terrible Two Series, Book 1. $c Statement of responsibility Mac Barnett. 490 SeriesStatement 0 $a Series statement Terrible Two. 533 Reproduction $a Type of reproduction Electronic reproduction. $d Date of reproduction 2015. $n Note about reproduction Requires OverDrive Read (file size: N/A KB) or Adobe Digital Editions (file size: 14650 KB) or Kobo app or compatible Kobo device (file size: N/A KB) or Amazon Kindle (file size: N/A KB). 650 Subj:Topic 17 $a Topical term Juvenile Fiction. 650 Subj:Topic 7 $a Topical term Humor (Fiction). 655 IT:Genre 7 $a Genre/form data or focus term Electronic books. $z Public note Click to access digital title.